General Knowledge: - The questions for this subject will be asked on general awareness and current affairs. 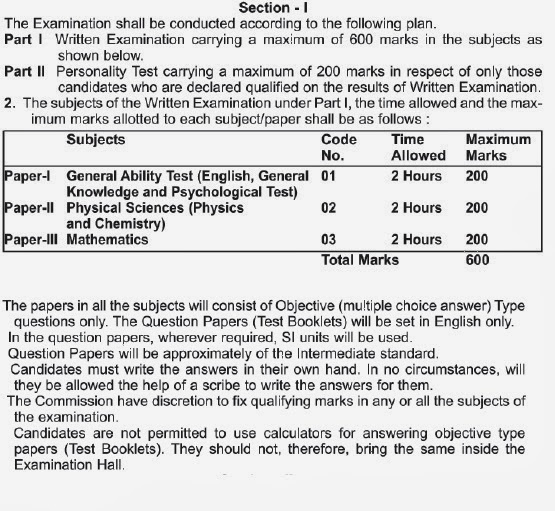 The standard of answers to questions should be as expected of students of standard 12 or equivalent. Some of the important topics are Man & Environment, Evolution of Life, Plants & Animals, Solar System & the Earth, History, Politics & Society in India, Constitution of India and its feature, Money and Taxation Price. Psychological test: - The test will judge the basic intelligence and mechanical aptitude of the students. Discovery of the electron and many more. Fats and Lipids, amino acids and proteins.